If you haven’t heard the news, American actress Meghan Markle is engaged to Prince Harry (!) and are set to marry next spring (!!). 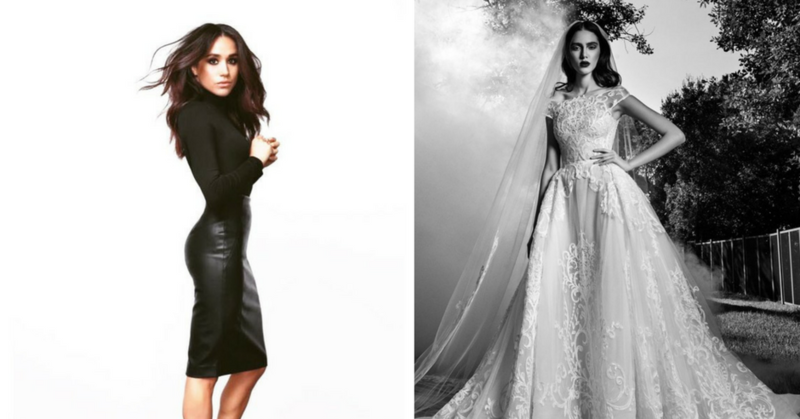 While we’re all freaking out over the news, the real question is—what will Meghan wear down the aisle? We have some predictions for you (that you can wear too), below. This romantic Zuhair Murad embroidered and lace cap sleeve ball gown is sure to turn heads. If Markle is looking for something classic this Dennis Basso gown is perfect—right down to the flattering v-neckline. 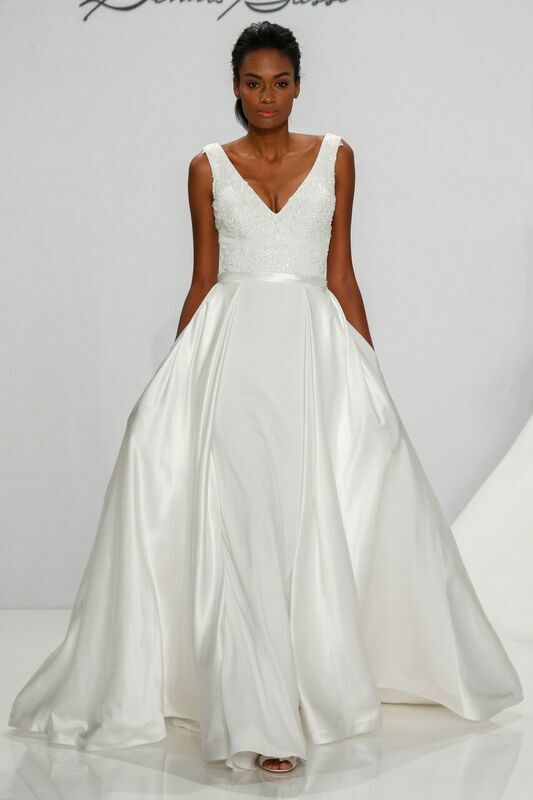 We love the structured tiered skirt on this simple satin Reem Acra sheath gown—Markle can complete the look with a gorgeous headpiece or jewelry. Meghan can channel her inner princess in this stunning sweetheart Love by Pnina Tornai ball gown with ruffled chiffon skirt and horsehair trim. 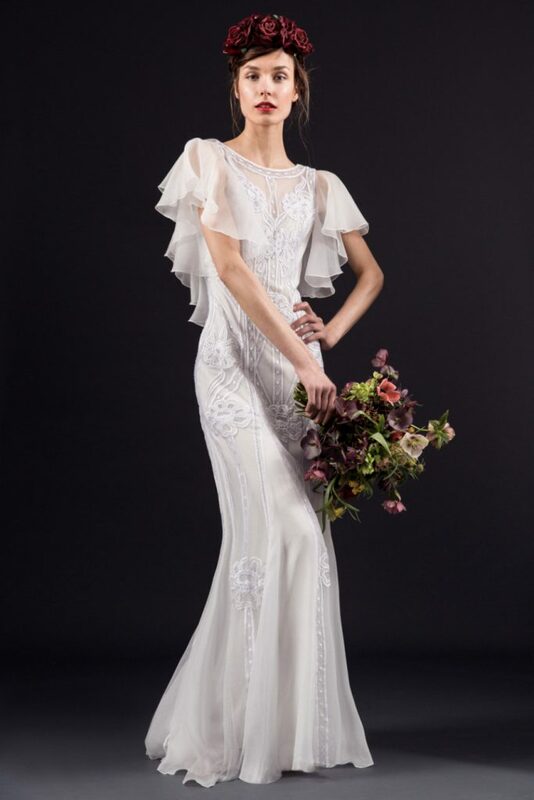 Flutter sleeves, embroidery and a classic bateau neckline complete this bohemian-meets-chic Temperley London sheath gown. Plus, what a perfect way to acknowledge Prince Harry’s culture than through wearing a British designer (PS. it’s one of the Duchess of Cambridge Kate Middleton’s favorites!). 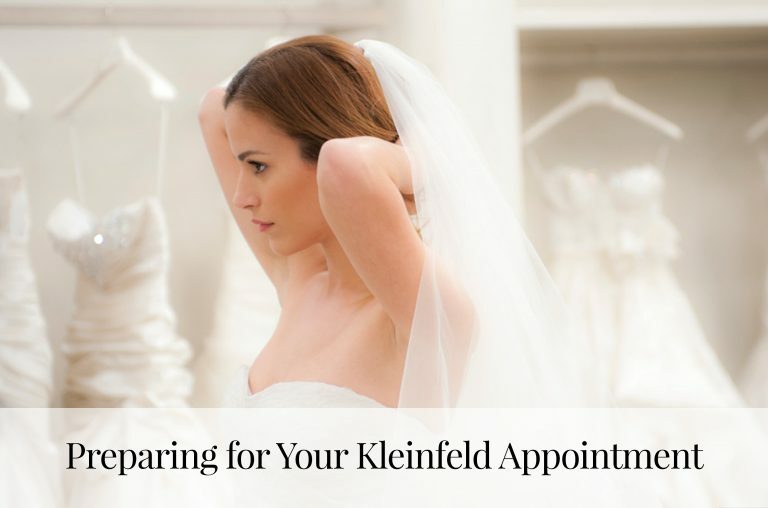 Looking for that royal vibe on your wedding day? Of course you are! Browse our dress catalog, where you can refine your search by silhouette, sleeves, neckline and more! 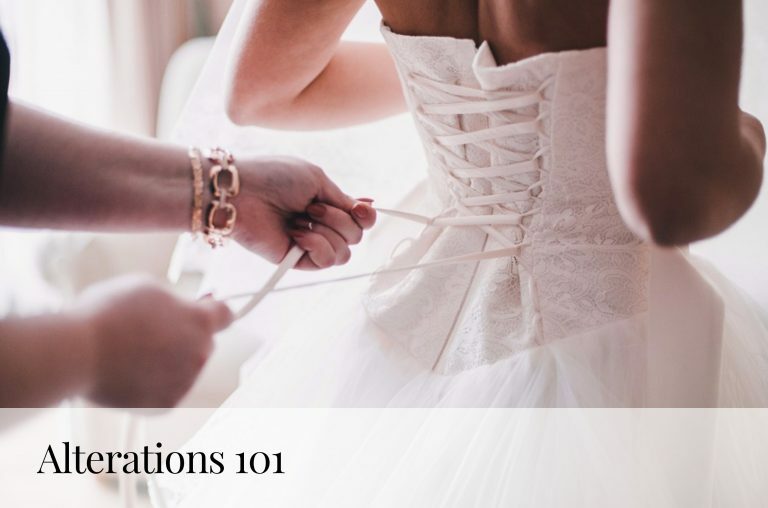 Make an appointment to come find your dream dress! 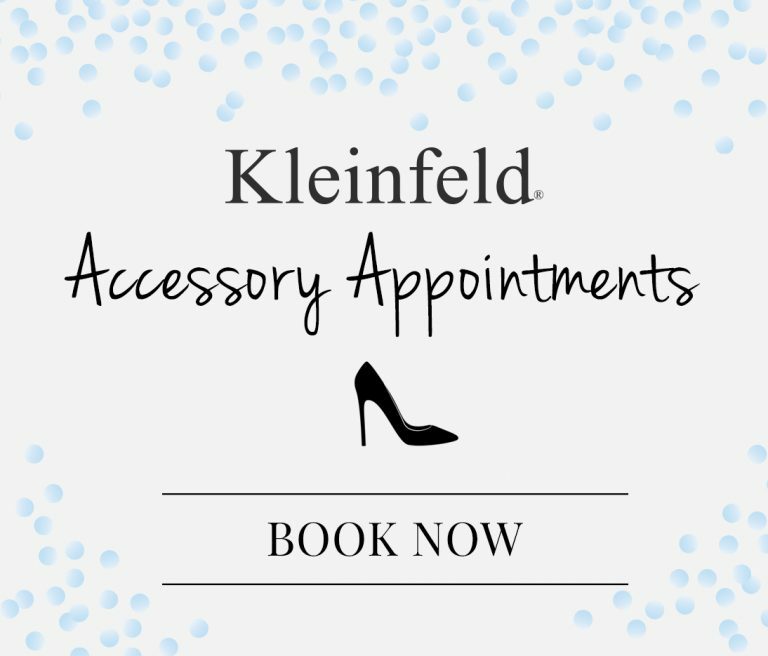 Check out our trunk show calendar to see when our next designer event is!